Watch this spot for messages from the author. She may not be a household name, but Helen West Heller was a pioneering artist—possibly the finest woodcut artist the United States has ever produced. Born a poor Midwestern farm girl in 1872, Helen was determined to forge a career in the arts. 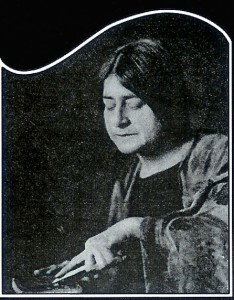 At the Ferrer Center and Modern School in New York City in 1911-12, after struggling unsuccessfully to support herself with her paintings and separated from her first husband, she met the enigmatic Roger Paul Heller, a brilliant, yet failed, electrical engineer sixteen years her junior. 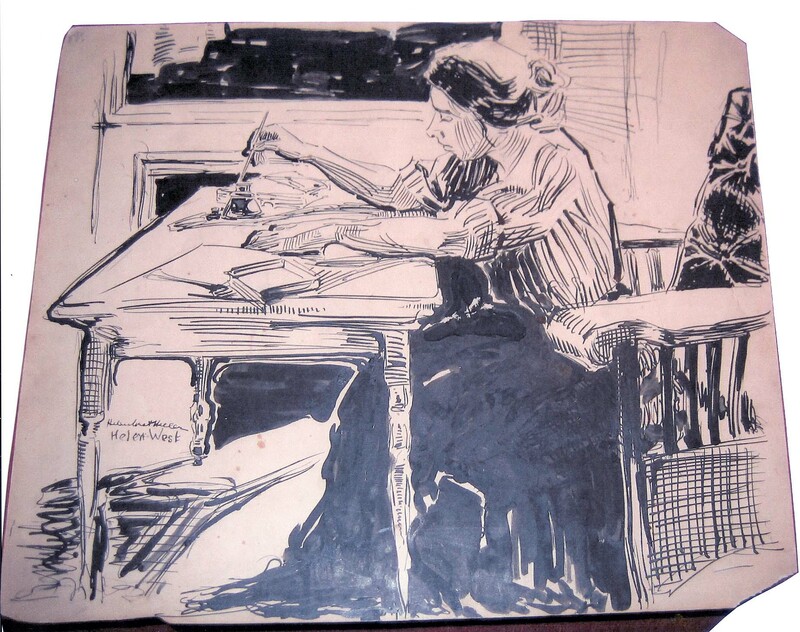 With instructors like Robert Henri and George Bellows and students that included the likes of Rockwell Kent, Leon Trotsky, and Emmanuel Rabinowitz (a.k.a. Man Ray), the Anarchist institute was a powerful attraction, and the period’s most prominent radicals circulated there. 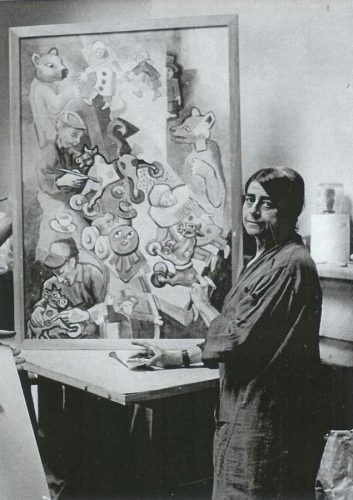 Gaining exposure and respect, but not financial success, Helen would later become a fixture of Chicago’s modernist art scene. 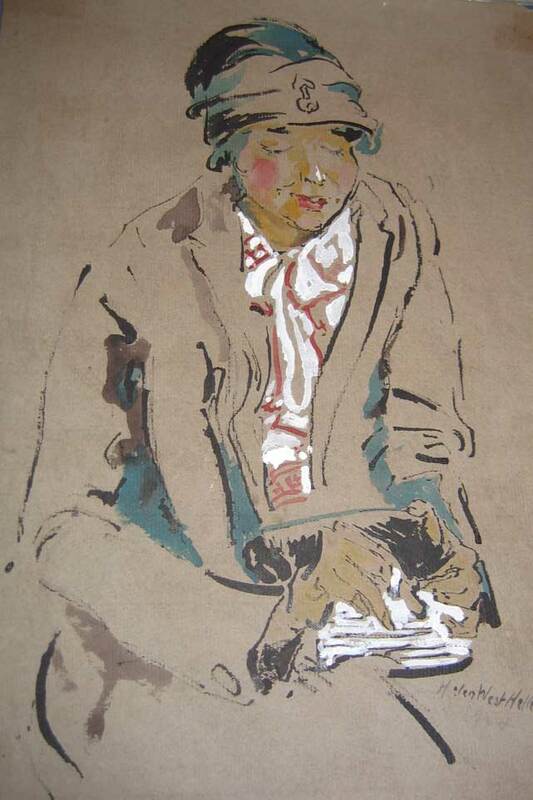 Her ingenuity and creativity shined brightest as she brought the medium of woodcutting to new heights as an expressive art form and published more than one hundred poems in literary magazines and newspapers. 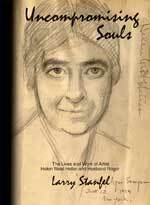 As the fascinating, in-depth biography illuminates the life and work of this national treasure, Uncompromising Souls also examines the career of the artist’s eccentric husband and sheds light on an intriguing chapter of America’s story. And take myself where quiet reigns and sleep at least is true. 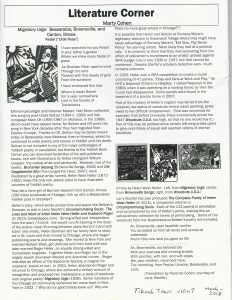 I met Roger Heller at an anarchists’ school where he was panhandling. The appreciator of art is co-creator with the artist. He meets the artist on the path between creation and comprehension if not half way at least so many steps as are possible to his imaginative development. Indeed their meeting is not so much on a clear highway as on a meandering lane of dream. If my work in portraiture is ever gathered together … it will probably be found that … the best of it is child portraiture … In all the history of art the spirit of childhood has but seldom been caught. 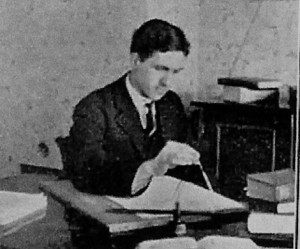 The first independent art exhibition was initiated by the speaker. [Mrs. Heller] … The show drew large crowds. 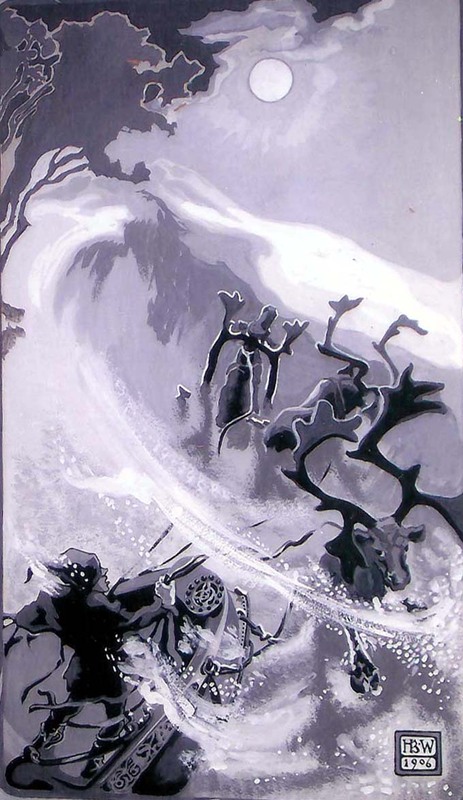 … Many of the contributing artists have since become famous. … That was five years before the Armory Show. I am a forerunner in development of composition into a phase of psychology: by discovering ways of conveying emotions through abstractions. My product is completely creative: entirely divorced from the motive of conveying authors’ images. Friend 1: I never thought of you as being a native. Helen: I’ve got to be a native of somewhere, haven’t I? Friend 2: No, you don’t belong anywhere. It was recently said of my verse: “There is something undemocratic about it.” This quality of “something undemocratic” radiates also from my plastic work. Is it not the mystical atmosphere pervading all that I do? 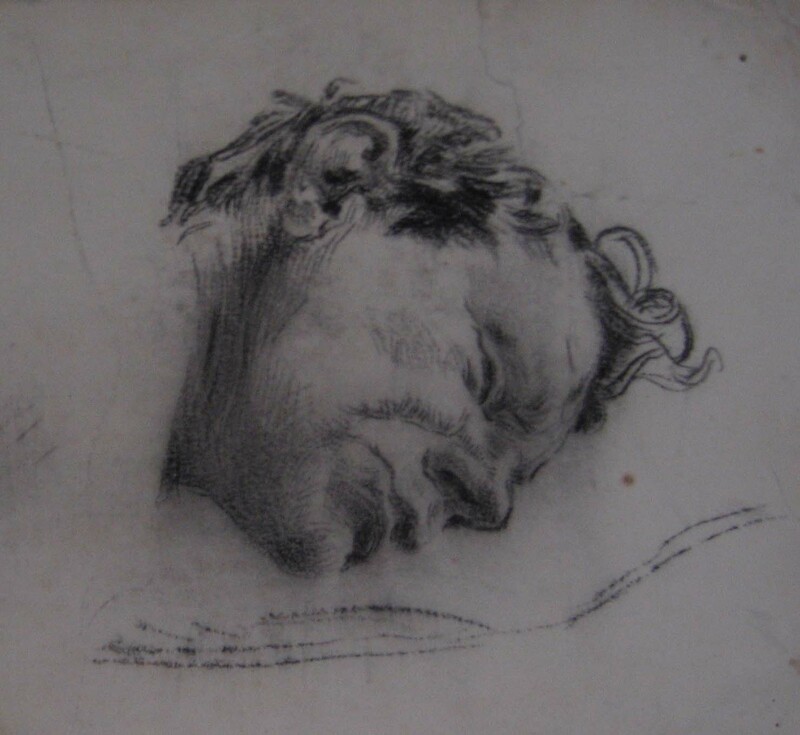 …it is usual for the practitioners of today to make a well-developed drawing which is transferred to the block and painstakingly followed, in which case the resultant engraving is in spirit a copy. I am a glaring exception to this rule: I determine the composition and on this place the large forms, then, on the block, draw such details as I can pre-conceive. Then between the tool and the material, I begin thinking in the wood: so only can original creation take place. Dr. Martin S. Cohen, Poet, Essayist, Biographer, and Art Historian has favored Uncompromising Souls and The Complete Poetry with many kind words in his “Literature Corner” column in the Tikvah Times, vol. 10, No. 7, 2018, New Hyde Park, NY. Dr. Cohen also agreed to allow the reproduction of his article. Print Quarterly, the prestigious British journal! 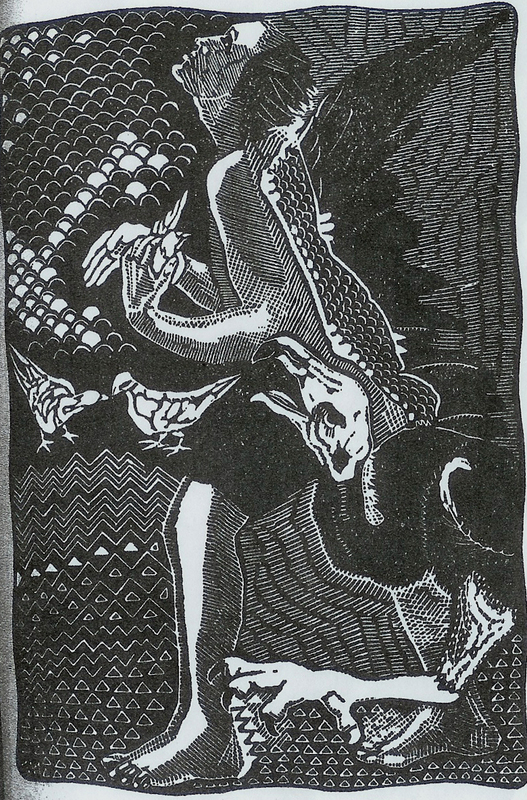 Discover a hidden treasure in the life and work of an early to mid-twentieth-century radical, poet, and celebrated woodcut artist — along with her enigmatic and eccentric husband. Powerful amount of research went into your interesting book on the Heller’s. Especially liked that you gave credit to your family for their help. Chapter 6 was my favorite chapter. … you’re probably right in saying that if he had stayed in Canton, he probably wouldn’t have encountered the problems he did out East. Helen’s perseverance w/her art was quite admirable. Such talent! 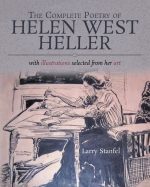 Stanfel’s biography, The Lives and Work of Artist Helen West Heller and Husband Roger, a tribute to the creativity and drive of the artist, is the definitive work on the couple with extensive research, detailed chronologies, five photographs of the couple, fifty-five reproductions of art, and a bibliography with many primary sources. What a contribution you have made to art history. Reproducing that huge range of images alone is a significant aid to anyone studying Helen West Heller. Beautiful book. Larry you ARE the canon on these people. The books have arrived — gorgeous and generous. I expected the black & whites to be great, but did not expect the colors — the poetry is far more than I could have hoped. I spent yesterday at a disappointing (Painting Poetry) show . . . so this is a necessary corrective. Looking forward to digging into the prose and finding out the rest of the story(ies). I must say both books are beautiful. You have done a wonderful job introducing readers to the life and work of this fascinating artist. On overview I see that so much detailed and interesting research was done and I have learned new things about her already! I am enjoying the poetry and I am looking forward to more in depth reading of Uncompromising Souls. Read Llewellyn Jones 1928 review of Helen’s book, Migratory Urge. The poet-artist’s published verses are collected for the first time and paired with wonderful pictures selected by the author from the breadth of her career. Read her inmost thoughts on success, art, life, death, aging, and celebrities of her time. What a lucky Lady [Ms. Heller] is, having you and Jane look after her so well! I am reminded of what Mabel Todd and Thomas Wentworth Higginson did for Emily Dickinson. This is fine and generous work that you two have done. Many thanks from all of us “poets anonymous” out here. 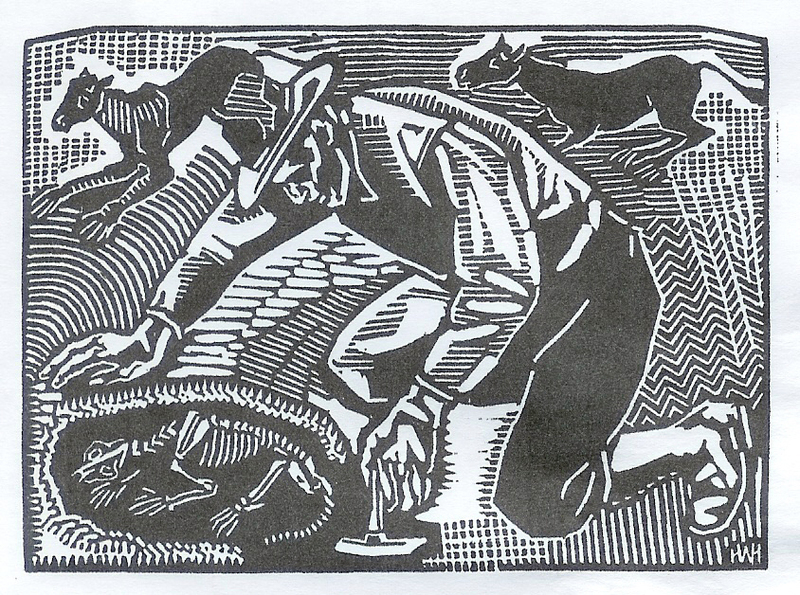 I think you have done a very fine job of linking words with image throughout the collection, and aren’t some of those woodcuts simply terrific?… Artists/poets dream of people like you to celebrate their work. Good for you and lucky Helen! 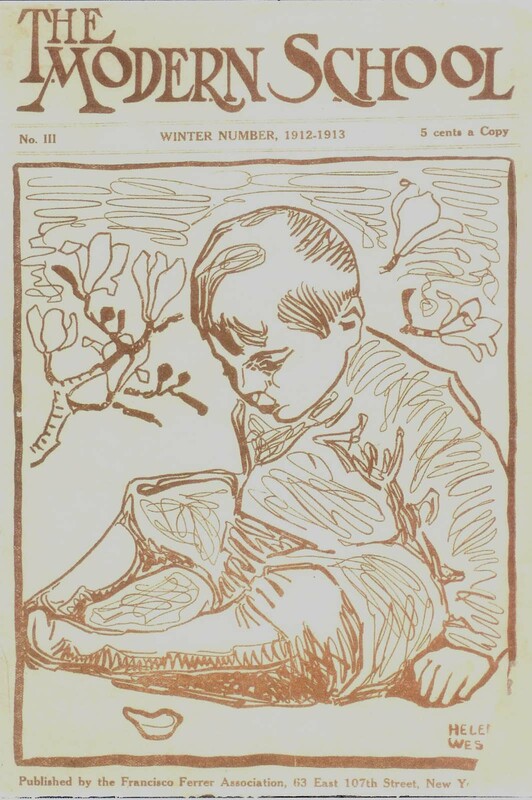 Helen West Heller, the creator of hundreds of unparalleled woodblock prints was also a widely published poet with over one hundred in newspapers and literary magazines. Around 1892, when she departed her family’s Illinois farm for Chicago, she nursed an unquenchable thirst for a career in the arts, but she hadn’t settled upon a particular form. 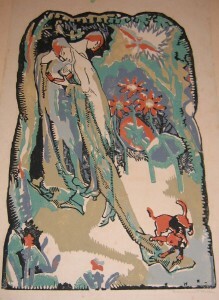 Her first public success, in 1899 in a literary magazine called The Criterion, consisted of a poem in company with a drawing she had executed to illustrate it. These constitute the first pair to appear in the book. Until 1919 painting and drawing forged ahead in her scheme of things, but between 1919 and 1922 she concurrently composed poems that appeared in very respectable literary periodicals. 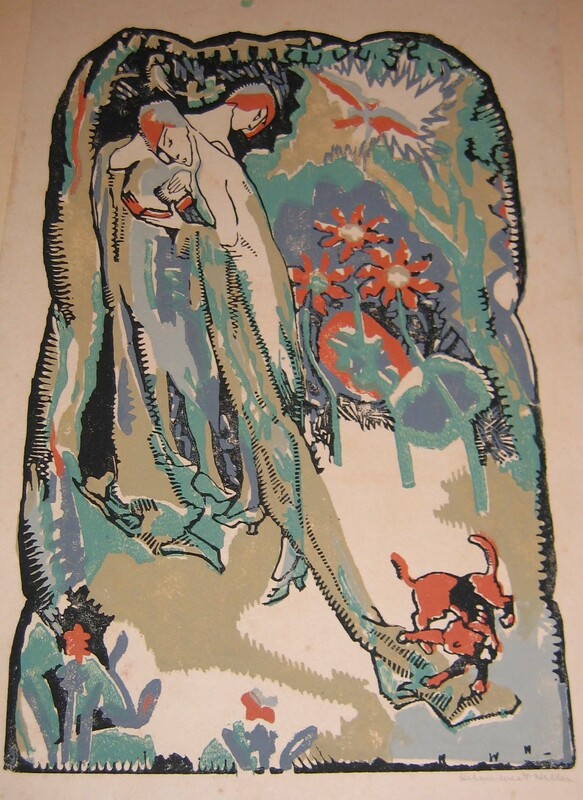 By 1925 she had established the foundation that would support her growth into one of history’s finest woodblock print artists, and at that time sprang a stream of weekly verses in her own newspaper column, which flowed into 1927. Seldom longer than a dozen lines and generally shorter, her poems addressed a wide spectrum of emotions and topics that embraced artists like van Gogh, Picasso, Redon, Utrillo, and her Chicago colleagues; autobiographical expressions of both her rural and metropolitan lives embodying her poverty, aspirations, and longings; adventurers like Billy Nutting and Carl Akeley; Chicago of the Roaring Twenties; politics and society; the business side of art; love, aging, and death. With each of her collected poems, presented chronologically, Dr. Stanfel has matched an image of a work of her plastic art, where the connection may be thematic, emotional, historical, art-theoretic, or geographical, to exemplify the types of linkages. 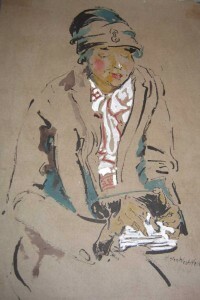 The art chosen as illustrations range from her earliest efforts to works completed in her late years of activity, and the media include all, excepting mosaic, that she is known to have employed. A number of these have not been seen in public for as long as 100 years. Finally, informative end notes annotate the works with explanatory allusions to the artist’s life, biographical names referenced in the poetry, historical facts, and the nature of the connections. 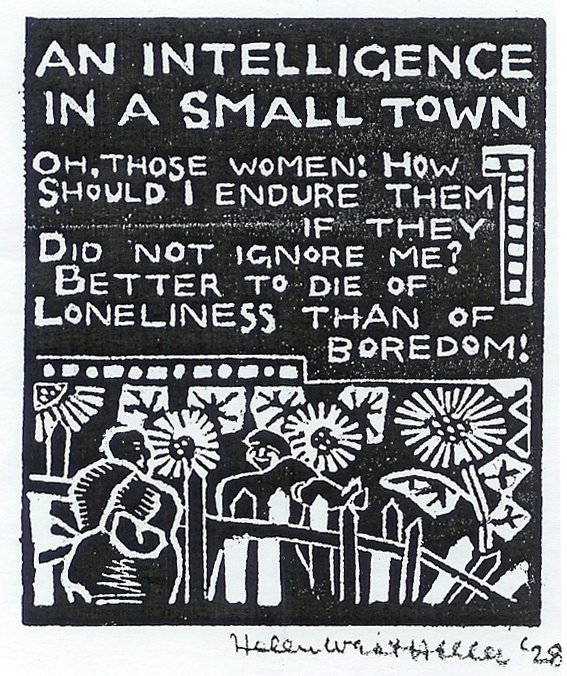 by Larry Stanfel, exhibition co-curator. 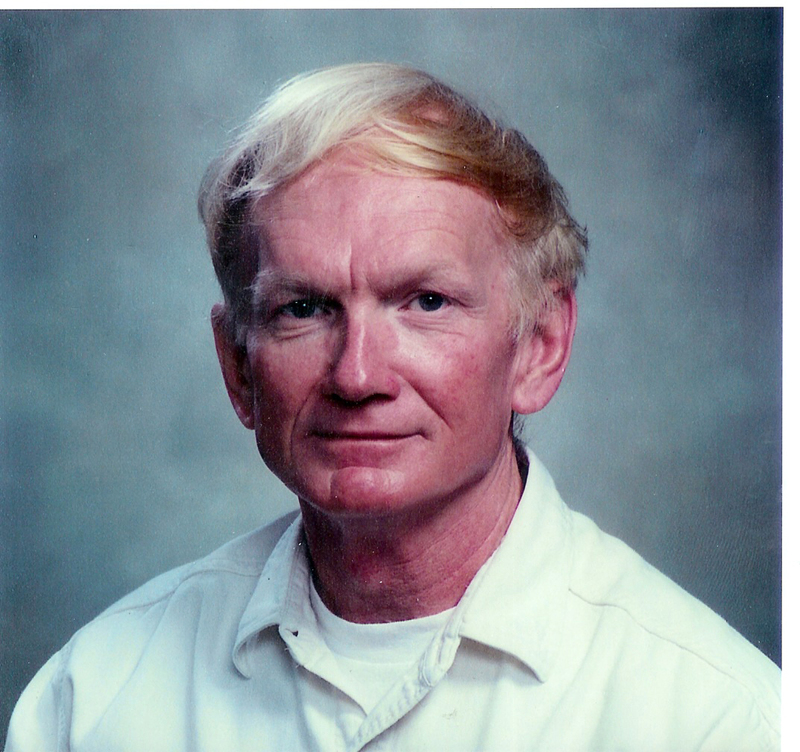 Larry Stanfel, a professor emeritus at the University of Alabama, earned his PhD from Northwestern University. Twice the winner of competitive postdoctoral fellowships for research abroad, he has been listed in Who’s Who in America and was selected for a number of honorary fraternities. He has worked frequently as a consultant to government and private businesses and has been an invited speaker around the world. 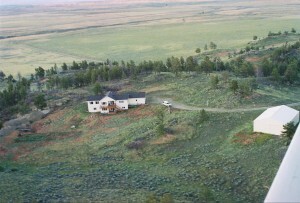 Presently he and his artist wife, Jane, live on a small ranch, pictured below, in Montana. He has published three previous books and around eighty articles, most of them peer-reviewed, and several of his poems and stories have appeared in print or in web journals, including a prize-winning story in Enchanted Conversation. He also writes novels, plays, and song lyrics. 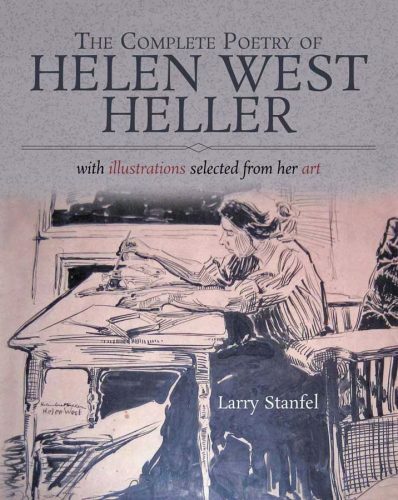 Stanfel spent twelve years exhaustively researching the lives and work of Helen West Heller and her husband, Roger, and is considered the world’s leading authority on the pair. 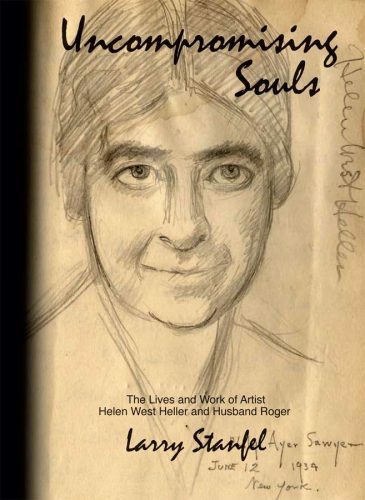 His book, Uncompromising Souls, is the first and only biography of the artist and her eccentric husband, whereas his Complete Poetry of Helen West Heller is the sole compilation of her poems. He and his wife are also co-editors of the 2015 book, A Rhyme Runs Through It, published by the Montana Cowboy Poetry Gathering, Lewistown, Montana. To contact Larry Stanfel, please complete the form below. “Ballet Brothahs Don’t Wear Tutus,” Sistah Magazine, vol. 5, no.1, Dec/Jan 2008, pp. 12-13. 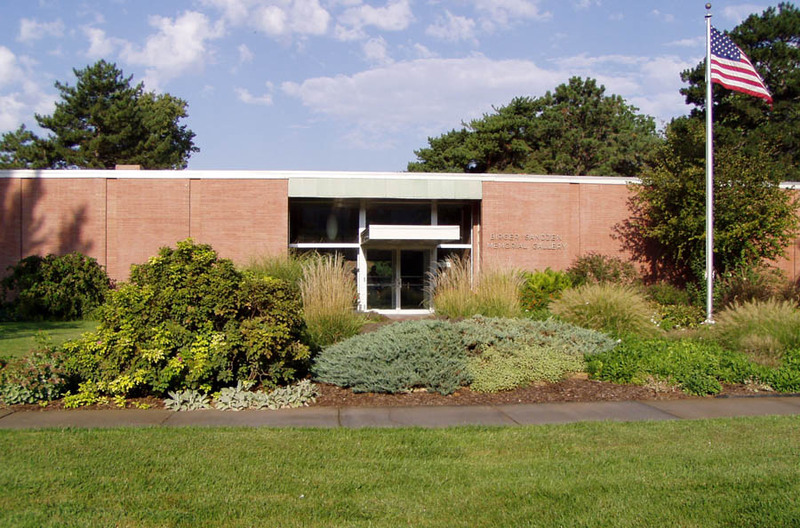 “The First of the Ten, The Last of the Ten: An Afternoon with Joseph Solman,” JMAPC, 16, 1, 2008, pp. 14-17.